Another short track is on the Cup Series schedule this week, but Richmond is wildly different from Bristol. What do we need to know about the track before filling out DFS lineups for the Toyota Owners 400? 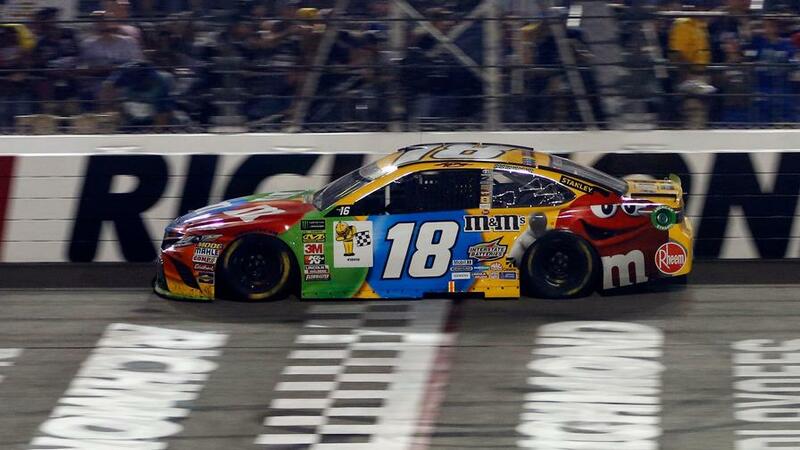 This week, the Monster Energy NASCAR Cup Series races under the lights for the first time in 2019 for the Toyota Owners 400 in Richmond. What do we need to know about the track before filling out our NASCAR DFS lineups? Let's check it out. For the second straight week, the Monster Energy NASCAR Cup Series is heading to a short track, this time in Richmond after an exciting little do-si-do in Bristol on Sunday. The fact that both tracks are short is where the similarities end. While Bristol was a fast, high-banked blender, Richmond is a flatter, sweeping, d-shaped tri-oval. It's going to lead to differing strategies in DFS, as well. Heading to Bristol, our strategy was to collect as many laps led as humanly possible. There were 500 laps in the race, and if a driver got out front, they'd tick off laps led in a hurry and load up on the fantasy points. In Richmond, there will be just 400 laps, trimming the FanDuel points available for laps led down to 40. We're still going to prioritize laps led here relative to some other tracks, but it's definitely a different dynamic than we had last week. Over the past six Richmond races, eight drivers have led at least 100 laps, maxing out at 198 for Martin Truex Jr. in 2017. Over the six races at Bristol in this same timeframe, five drivers led more laps than Truex led in that race. It's a bit more difficult to whip out a truly dominant outing at this track with the reduced number of laps. One parallel between Bristol and Richmond is that most of these laps led will come from drivers who start near the front. 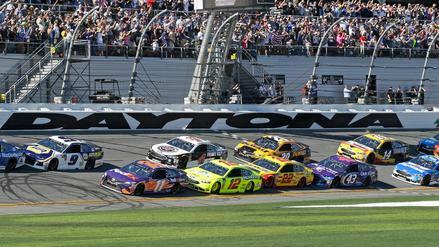 Of the eight drivers to lead more than 100 laps in this time, seven started within the first three rows. Three of those drivers started on the pole, as well, meaning when we're hunting for laps led, we'll want to prioritize drivers at the front. We alluded to this prior to the Bristol race, and it didn't wind up playing out as such, but passing could be a bit more difficult in Richmond than it has been in the past. With the higher spoilers on the backs of the cars, drivers have complained about how difficult it was to pass in Phoenix and Martinsville. The high banking and multi-groove nature of Bristol may have allowed that to be different there. But Richmond is more akin to Phoenix and Martinsville, potentially signaling that passing could prove difficult on Saturday night. As a result of the new rules, we're going to need to check out what happened at Phoenix and Martinsville and put weight on what we learned there. We'll talk more about that in a second. But just broadly, this likely means when we're searching for laps led, we'll need to stick largely close to the front. We'll still be able to squeeze some juice out of place-differential points for our value plays, but you're not likely to get laps led out of drivers starting outside the top 10 or so spots. Because we do have data from Phoenix and Martinsville, finding those lap-leaders should be a bit easier than it would be otherwise. Those tracks have shown us which drivers figure to stand out this year on flat, short tracks, and those are the drivers most likely to lead laps on Saturday night. Additionally, practice should give us a pretty solid glimpse into who has a speedy car. Although there are just two practice sessions, because this is an impound race, drivers will likely have 10-lap averages in both practices. Kyle Busch was first and sixth in 10-lap averages prior to last year's fall race, and he led 92 laps en route to victory despite starting at the back of the pack. By combining this with a look at how each driver has performed in Phoenix and Martinsville, we should be able to figure out who will be in contention for a win, thus netting us some bonus points for laps led in the process. Let's circle back to Phoenix and Martinsville for a second. Because drivers are having issues passing -- and could experience those issues again this weekend -- we should look to those races to see what we can learn about roster construction for this race. Our general hypothesis entering was that we'd need to target drivers starting within the first few rows to get game-changing laps led on our rosters. That was a successful strategy in both races. Here's a look at the best lineup you could have filled out at Phoenix. And here's the same for Martinsville. For both lineups, the structure was the same: two drivers starting near the front who led laps and three starting further back who got place-differential points. We should assume things will look similar this weekend. Blending Phoenix and Martinsville is also helpful because Richmond is nestled between the two from a laps perspective. The 400 laps this weekend are more than they ran in Phoenix (312) but less than Martinsville (500). Combine that with the likelihood that passing will be equally difficult here as it was at those two spots, and you can see why we'd want to proceed forward with this model. This discussion around drivers' abilities to pass is especially pertinent this weekend. Richmond is an impound race, meaning that pre-race inspection will take place some time between qualifying and the race. If a driver fails post-qualifying inspection, their time will be disallowed, and they will start in the back of the pack. That means from a place-differential perspective, we could have fast cars who start behind the entire field. Last year, this was not a detriment. 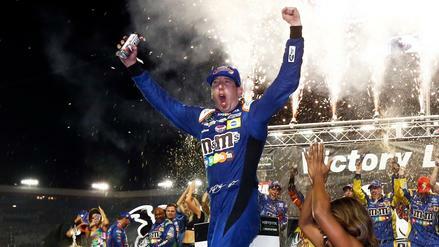 In the spring, Kyle Busch started 32nd, was up to 6th by the end of the first stage, and eventually won the race. In the fall, Busch started at the rear due to an alteration to his car after qualifying, led 92 laps, and won again. At least for Busch, passing wasn't an issue at all. Martinsville is the only impound race so far in 2019, and there, no top-end drivers failed post-qualifying inspection. As a result, it's hard to know how long it would take for a driver of Busch's caliber to move to the front with the larger rear spoilers. It does seem, however, as if we should at least slightly lower expectations for cars starting in the back. This is not to say we should avoid them entirely. As you saw above, Kyle Larson started 31st in Phoenix and was still in the perfect lineup thanks to a 6th-place finish. Austin Dillon finished 11th after starting 29th in Martinsville. Passing is far from being impossible; it'll just take a bit longer for drivers to work their way forward from the back, which does lower our expectations of them from a laps-led perspective. The other reason we don't need to exclude drivers just because they're starting in the back is that there are fewer laps this weekend than there were on Sunday in Bristol. If a driver starts 35th and finishes 5th, the 15 points they'll net from place differential will compare more favorably to the drivers who lead a bunch of laps than it would have in Bristol. You just have to ensure those drivers have cars fast enough to make up that ground before going bananas for them. 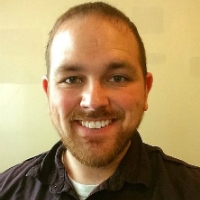 This discussion is much less difficult for drivers who are outside the elite tiers of salary. There, you don't need as much upside for them to pay off, so it's fine if it takes them a while to work their way forward. As long as they can get there by the end of the race, you'll be golden. In last year's Richmond race, both Daniel Suarez and David Ragan made the perfect FanDuel lineup after failing post-qualifying inspection and starting at the rear. Suarez finished 17th, and Ragan was 23rd. We can absolutely accept that as long as they're not costing us additional chances at snagging laps led, and at their respective salaries in that race, that wasn't an issue. At similar tracks this year, the hot spot for finding value drivers has been the range between 20th and 30th. There, drivers have some place-differential juice, meaning that if they can crank out a good finish, they'll be really solid point contributors. 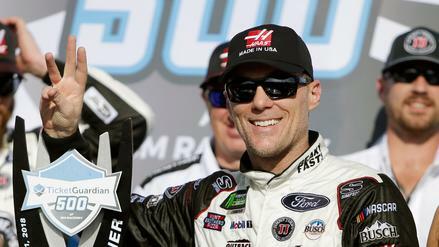 This range also produced a driver in the perfect lineup at last year's fall Richmond race. There, Dillon started 26th and finished 6th, easily enough to wind up in the perfect lineup. Phoenix and Martinsville have seemed to show that the passing issues won't prohibit such a performance from being duplicated on Saturday night, allowing us to hunt there regularly when looking for value. Richmond is a different race than what we had in Phoenix and Martinsville because of the number of laps being at roughly the midpoint of the two races. However, because the racing figures to be in line with those two, they can still provide us with a template for how to build our rosters. We start with two drivers near the front, then pluck our value plays from the middle of the pack (or deeper if inspection gives us solid assets at the back). Until we get reason to think otherwise -- or unless a stud winds up in the back -- this should likely be our model at these flat, shorter tracks going forward in 2019, starting on Saturday night.